Unlike most of the rest of the Canadian Space Agency (CSA), astronaut Chris Hadfield is at least on twitter (under the name Cmdr_Hadfield) and now he's also using social media tools to find a Canadian artist to design the poster for his upcoming mission to the International Space Station (ISS), according to the January 23rd, 2011 CTV Toronto article "Astronaut wants Canadians to help design NASA poster." 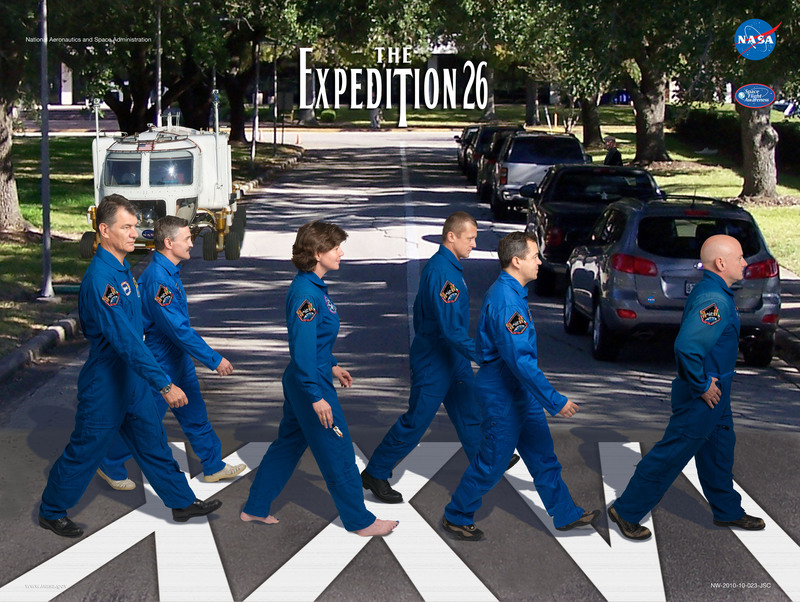 The article cites the poster for Expedition 21 (showing the crew in Star Trek uniforms) and the poster for Expedition 26 (a re-creation of the Beatles' famous "Abbey Road" album cover) as potential inspirations for the newest poster. 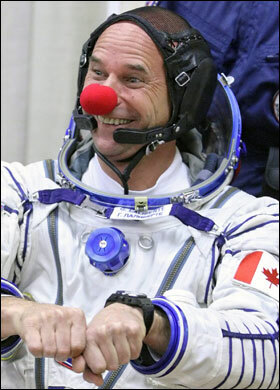 My personal favorite astronaut images are the original and effortless juxtapositions of personality, space mission and day job that Cirque du Soleil owner Guy Laliberté created simply by wearing a red clown nose during his ISS trip in 2009. For rent. The Kennedy Space Center. Meanwhile, back in the bankrupt American space bureaucracy, the National Aeronautics and Space Agency (NASA) could soon be hanging "for rent" signs on Kennedy Space Center launch pads, firing rooms, the Vehicle Assembly Building and other facilities now supporting shuttle missions, according to the January 25th, 2011 article "For rent: Kennedy Space Center facilities, launch pads." However, nothing is set in stone yet since the "center has (only) requested space industry input on how those facilities could best be used to support government and commercial launches after the shuttle program's final flight." Thank goodness for the new commercial space providers and their expertise at telling the government what to do which is undoubtedly based on hard won expertise developed by actually doing stuff. CaNoRock III launches from Andoya. But academia, at least Canadian academia, does seem to also have a sense of what needs to be done. For example, the University of Alberta has just signed a 10-year program with the University of Oslo to send forty students yearly for training at the Andoya Rock Range in Norway under the Canadian Norwegian Student Exchange and Sounding Rocket (CaNoRock) program, according to the January 31st, 2011 Edmonton Journal article "Uof A, Norway partner in outer space project." The article quotes Professor Ian Mann, research chair in space physics at the University of Alberta as stating that the exchange students will be launching rockets to an altitude of 10 kilometres, measuring the earth’s gravitational pull and performing other tasks similar to those done when launching a commercial satellite. Mann claims the program will prepare students for lucrative careers in space technology. Meanwhile, back in that lucrative commercial world, "Singapore could become launch pad to space" according to the January 31st, 2011 article in the Singapore Straits Times. 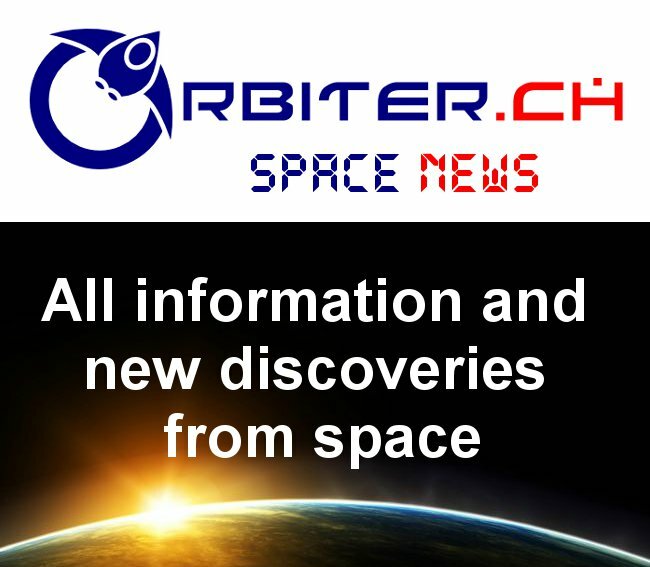 The article quotes sources in the aerospace firm European Aeronautic Defence and Space (EADS), as stating that the firm is preparing "to launch the world's first commercial space flight this year." Unfortunately, we'll have to wait until Monday, February 7th for the full story from the Strait Times (which printed only a teaser) although it is expected to be related to the planned launch of the latest European Space Agency (ESA) Automated Transfer Vehicle (ATV) to resupply the ISS on February 15th. EADS, which acts as prime contractor for the ATV, has made no secret of its plans for further development of the ATV into both a cargo return and human launch versions. It is also likely that the article will focus on the further development of an EADS suborbital space plane using Singapore subcontractors as described in the January 27th, 2011 Aviation Week article titled "EADS Astrium to Develop Spaceplane." 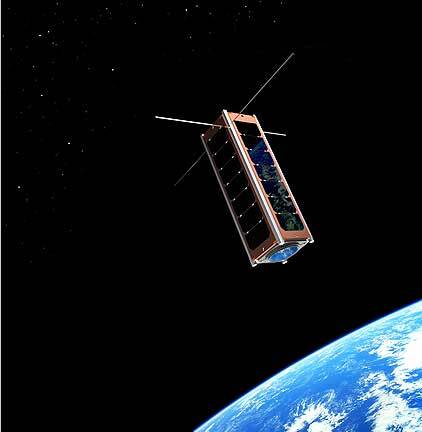 Artists impression of the Clyde Space 3U cubesat. Glasgow based Clyde Space, a leading provider of miniature spacecraft (and the direct competitor of Canadian based companies such as Com Dev International and Microsat Systems Canada Inc.), has just secured a funding package worth £1m, according to the January 31st, 2011 Rocketeers UK article "Clyde Space secures £1M funding." According to the article, the investment package was led by private equity firm Nevis Capital and includes funding from Coralinn LLP, Scottish Enterprise, the Science and Technology Facilities Council (STFC), the Technology Strategy Board and the Regional Selective Assistance program. And finally, the Emirates Institution for Advanced Science and Technology (EIAST) and Bigelow Aerospace have signed a Memorandum of Understanding (MoU) according to the January 31st, 2011 press release "EIAST and Bigelow Aerospace sign agreement to create next-generation commercial human spaceflight programme." The agreement will focus on joint efforts "to establish a next-generation commercial human spaceflight programme" for Dubai and the UAE, plus work to create a world-class microgravity research capability. The unmanned Japan Aerospace Exploration Agency (JAXA) designed H-II transfer vehicle (actually a spacecraft called Kounotori 2 or "white stork"), loaded up with over four tons of supplies for the International Space Station (ISS), is presently scheduled to dock with the ISS on Thursday. 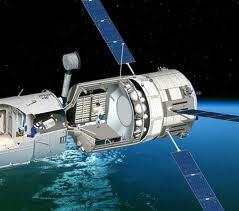 That docking procedure will require more than a little help from MacDonald Dettwiler (MDA) and their iconic CanadArm2. This is because the Japanese spacecraft does not contain the complex docking and approach systems possessed by the Progress spacecraft (currently used by Russia to bring supplies to the station) or the soon to be retired US space shuttles (which together have brought the majority of parts and supplies to the ISS until now) or even the European Space Agency (ESA) built Automated Transfer Vehicle (ATV). H-II transfer vehicle approaching the ISS. Instead, the intent is to fly the module just close enough to the station to allow capture by the Canadarm2, which will then pull it to a berthing port on the ISS Harmony module where the supplies can be unloaded. This is quite similar to the methodology expected to be used with the Orbital Sciences Corporation (Orbital) designed Cygnus cargo delivery spacecraft as described in my January 18th, 2011 post "MDA and the Cygnus Cargo Spacecraft." MDA has exercised an option in a contract with Orbital for additional robotic units to assist in the capture and mating of the Cygnus spacecraft to the ISS. The station received a second robotic arm during STS-124, the Japanese Experiment Module Remote Manipulator System (JEM-RMS). The JEM-RMS will be primarily used to service the JEM Exposed Facility. 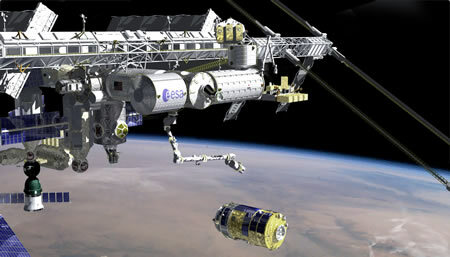 A third robotic arm, the European Robotic Arm (ERA) is scheduled to launch alongside the Russian-built Multipurpose Laboratory Module during December 2011. Connected to Pirs, the ISS also has two Strela cargo cranes. One of the cranes can be extended to reach the end of Zarya, the other can extend to the opposite site and reach the end of Zvezda. The first crane was assembled in space during STS-96 and STS-101. The second crane was launched alongside Pirs itself. The CanadArm2 is part of the ISS Mobile Servicing System (MSS), which also includes the Mobile Remote Servicer Base System (MBS) and the Special Purpose Dexterous Manipulator (DEXTRE). At least one other robot is scheduled to travel to the ISS. Robonaut II, a collaboration between the US National Aeronautics and Space Administration (NASA) and automaker General Motors, will launch aboard the last mission of the much delayed space shuttle Discovery (STS-133) during it's next launch window which begins February 24th. As outlined in my April 17th, 2010 post "Robot Wars," Robonaut II bears more than a passing resemblance to the Stig, secretive race car driver in the BBC television program Top Gear. There's even an official justification for the resemblance. This specific robot is designed not only to look like a human but also to work like one. As for the Japanese "white stork," after a two month stay the HTV-2 will then be loaded with waste materials (such as used experiment equipment and clothes) and separated from the ISS for de-orbit and destruction during atmospheric re-entry. In other words, konnichiwa (hello) and sayonara (goodbye), Kounotori 2. According to the January 13th, 2011 Canada NewsWire article "MDA provides additional advanced technology solutions to Orbital's Cargo Delivery Spacecraft," BC based Macdonald Dettwiler (MDA) and Orbital Sciences Corporation (Orbital) will be "exercising an option" on a contract announced January 19, 2010 for additional robotic units to assist in the capture and mating of the Cygnus cargo delivery spacecraft to the International Space Station (ISS). 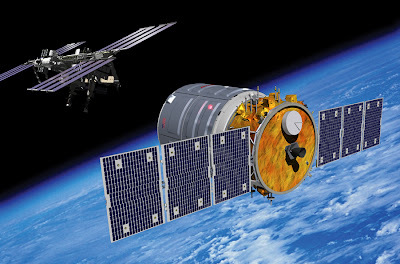 Artist rendering of the Cygnus spacecraft approaching the ISS c/o Orbital website. The original contract, as outlined in the January 19th, 2010 Spaceref.com article "MDA contract will enable robotic capture and mating of Orbital's Cygnus(TM) Cargo Delivery Spacecraft to the ISS" was for $2.4 million USD for the design and development of the first unit but included an option to purchase additional units for follow-on operational missions worth "at least" $4.0 million USD. The Cygnus is being developed by Orbital and Thales Alenia Space (Thales) under the National Aeronautics and Space Administrations (NASA) Commercial Orbital Transportation Services (COTS) program. 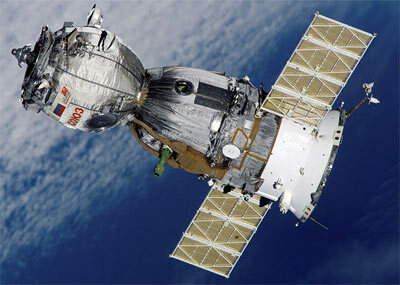 The venerable Russian Soyuz (able to carry up to three passengers) and Progress spacecrafts (able to carry up to 2,300kg of supplies to LEO) which possess a history going back to the 1960's and which currently supply cargo, crews and even berths for space tourists traveling to the ISS (through the Virginia based private company Space Adventures Ltd.). 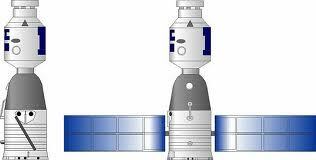 The Peoples Republic of China developed Shenzou spacecraft (based on the Russian Soyuz and operational since 2003) which normally launches from the Jiuquan Satellite Launch Center aboard a Long March 2F launch vehicle and is capable of carrying three passengers or an equivalent cargo to low Earth orbit (LEO).It has never visited the ISS. The ESA "Jules Verne" ATV. The European Space Agency (ESA) automated transfer vehicle (ATV) which was first launched from the Guiana Space Centre aboard an Ariane 5 rocket in March, 2008. It's capable of carrying up to 7667kg of supplies to LEO. The Japan Aerospace Exploration Agency (JAXA) H-II Transfer Vehicle which was first launched from the Tanegashima Space Center aboard an H-IIB launch vehicle in September 2009 and is capable of carrying up to 6,000kg of supplies to LEO. The Space Exploration Technologies (SPACE-X) Dragon spacecraft which was first launched from Cape Canaveral in Florida aboard a SPACE-X Falcon 9 rocket in December 2010 and is capable of carrying up to seven passengers or 6,000kg of supplies to LEO. 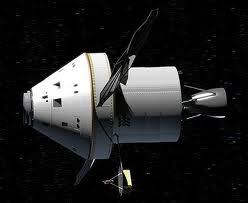 Like the Cygnus, this program is partially funded under the NASA COTS program. 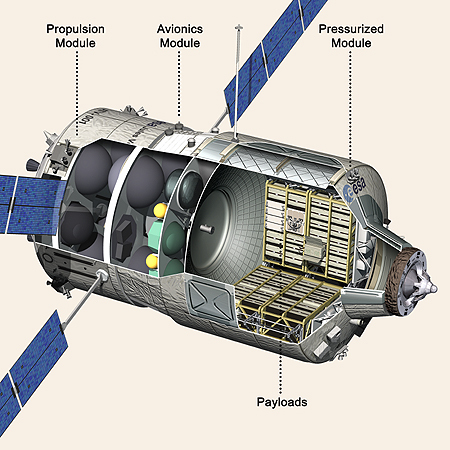 The Bigelow Aerospace/ Boeing CTS 100 capsule which is still in development and also partially funded (like Cygnus and Dragon) under the NASA COTS program. Specifications for this capsule have not as yet been released but it is expected to carry up to seven passengers or equivalent supplies to LEO using a variety of launchers. The Indian Space Research Organization (ISRO) so called "orbital vehicle," likely designated as such because no one could think up a better name, is intended to be the basis of an indigenous Indian human spaceflight program. It's also expected to carry up to two people to LEO orbit starting in 2016 aboard the (as yet undeveloped) GSLV Mk II launcher from the Satish Dhawan Space Centre (SDSC). As noted in my January 11th, 2011 post "The Shrinking Market for Sounding Rockets," suborbital focused rocket company Blue Origin has also received NASA COTS funding to develop concepts and technologies to support future human spaceflight operations (but hasn't announced anything yet) so it looks like the list above not quite complete. It also looks like there is the potential for quite the traffic jam in LEO over the next few years. Let's hope that Canadian companies continue to take advantage of the growing opportunities represented by these firms. The November 2010 announcement that the Department of National Defence (DND) is set to release an "updated" but not substantially changed Canadian military space policy early in 2011 seems to be just in time for the next federal budget. This suggests a series of obvious questions. Part one of this blog post ("The Axworthy Doctrine") tried to answer some of those questions by focusing on how the dissolution of the Soviet Union in the early 1990's led to a new Canadian focus on aggressive, international peacekeeping missions requiring space focused communication and surveillance capabilities of a type which Canada did not then possess. The plan to acquire those assets (mostly by borrowing them from the Americans) became the core of our first military space policy in 1998. 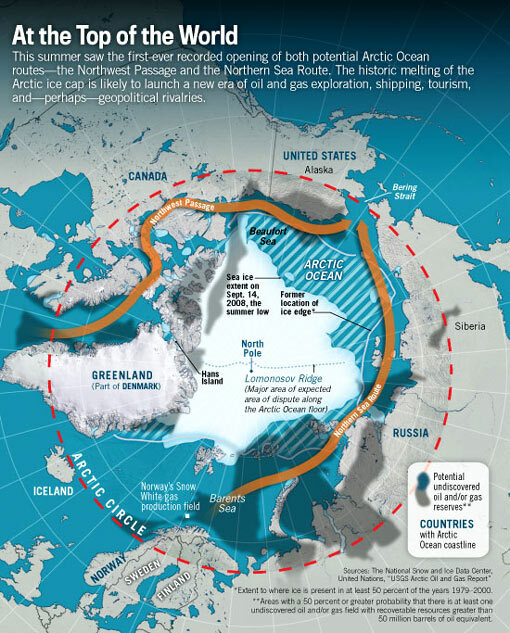 The Northwest Passage from the World Cultural Pictorial website. 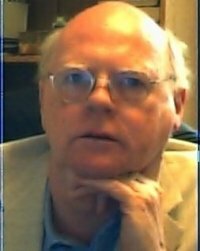 Part two ("The Changing Political Landscape") discussed why Canada had no military space policy previous to 1998 by going back to the 1960's and the federal liberal party, which refused to differentiate between space based military assets for communication/ surveillance and the placing of actual weapons in space. Since both were bad, neither could be publicly supported and developed. Part three ("Towards Northern Sovereignty") dealt with the changing focus of Canadian foreign policy from international peacekeeping towards northern sovereignty, a policy which often places us at odds with traditional allies (such as the US) and makes it difficult to borrow their equipment. 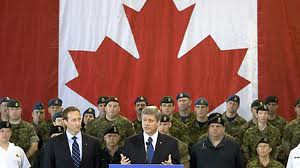 Defence Minister Peter MacKay and Prime Minister Stephen Harper announcing the Canada First Defence Strategy on May 12th, 2008. Conducting daily domestic and continental operations, including the Arctic and through NORAD. 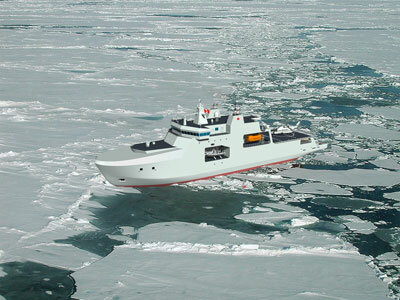 The proposed arctic offshore patrol ship. New navel vessels including at least one icebreaker (the CCGS John G. Diefenbaker), three joint support vessels (to replace the aging HMCS Protecteur and HMCS Preserver), between six to eight arctic offshore patrol ships and the Canadian single class surface combatant (which will replace the aging Iroquois class destroyers starting in 2016-2017 and the Halifax-class frigates at a later date). Naturally, when purchases are contemplated a budget is needed and the budget for this program is a big one. In essence, it requires an annual increase in DND funding from $18 billion in 2007-2008 to over $30 billion by 2027-2028 and totals out at around $490 billion over the 20 year period covered by the strategy. The space component of the package is designed primarily to tie together all the big ticket ships, planes and other equipment to insure that they can communicate with each other and sense what's going on around them. As the eyes and ears of the future Canadian Forces, the space component might also be the most important part of the program (it's certainly the least expensive). 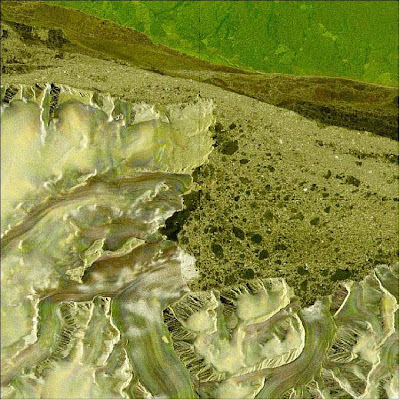 A colour composite image derived from RADARSAT-2 on January 5, 2011, relative to an archived scene of April 9, 2010. Areas of flooding are distinguished in red. 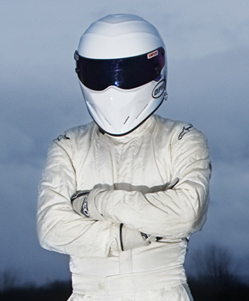 Images c/o MDA. Canadian capabilities in this area are presently wrapped around RADARSAT, RADARSAT 2 and the follow-on RADARSAT Constellation project. 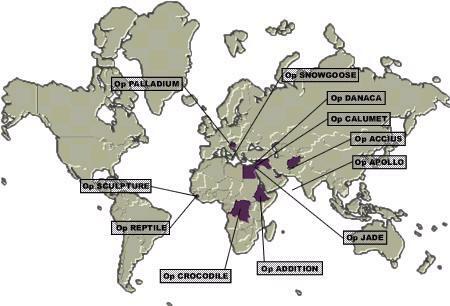 The RADARSAT program provides "wide area surveillance" of the Canadian north (and pretty much everywhere else if the January 16th, 2011 Montreal Gazette article titled "Space agency provides flood disaster images to Australia" is any guide). They use a variety of synthetic aperture radars (SAR) designed to obtain a finer spatial resolution than is possible with conventional photography or radar scans. 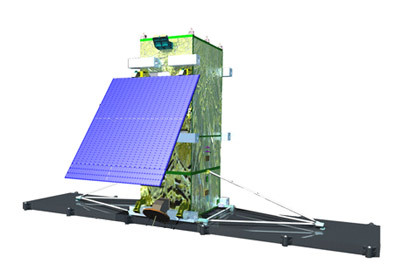 One of three satellites in the RADARSAT Constellation. It should also be noted that this type of technology has obvious resource management and search and rescue (SAR) applications, which makes it an easy sell to the business minded Stephen Harper conservative government. The Harper government has indeed been extraordinarily kind to RADARSAT prime contractor MacDonald Dettwiler (MDA) over the last two years since blocking the sale of the MDA space technology division to US based Alliant Techsystems (ATK). MDA is also the prime contractor for the DND Surveillance of Space (Sapphire) project, which is part of the Canadian Space Surveillance System (CSSS) and a component of the US Space Surveillance Network (SSN). MDA also builds unmanned aerial vehicles (UAV's) for DND, which have applications for northern sovereignty and contributes avionics for Canadian military aircraft . 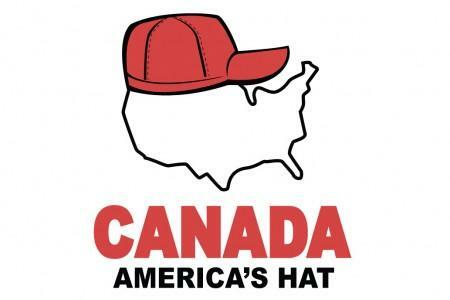 One interpretation of Canada US relations. Because of the large amounts of money involved (and with so much of the program undefined) there seems to be quite a bit of lobbying from DND, the Canadian Space Agency (CSA) and others to add specific programs to the CFDS program. Examples which have broken through the standard media disinterest in the topic include the January 3rd, 2011 post on the David Pugliese's Defence Watch blog titled "Does the Canadian Forces and Space Agency Need its own Rocket to Launch Satellites?" and the January 4th, 2011 Spaceref.ca post "Is Canadian Sovereignty at Risk by a Lack of an Indigenous Satellite Launch Capability?" Of course, the key to the implementation of the complete plan is consistent policy and long term funding guarantees, a situation that doesn't seem entirely reasonable given Canadian political history over the last few decades. According to the Air Force Association of Canada 2008 position paper titled "Implementing the Canada First Defence Strategy:"
While it is easy to support the initiatives announced by the Government, the ‘devil is in the details’ when it comes to implementation. Of significant importance will be the adequacy of funding. With consumer inflation gradually rising, and equivalent rates for military purchases traditionally higher, the adequacy of a 2% increase is in question. Perhaps that's why no one is holding their breath for the upcoming federal budget, which likely isn't going to define the path to the future for the Canada First Defence Plan. That path likely won't come clear until after the next federal election, which might happen this year, or might not. Last May, at the 15th Canadian Astronautics and Space Institute (CASI) ASTRO 2010 conference, several Magellan Aerospace employees presented a paper on "Bristol Aerospace’s Black Brant and Excalibur Sub-Orbital Rockets." the Black Brant nose cone in 1960. With the Space Shuttle era winding to a close and the limited opportunities to conduct science on the International Space Station (ISS), it is anticipated that there will be renewed interest in the use of sub-orbital rockets to perform science and build capacity. But while over 800 Black Brant rockets have been launched in various configurations since 1957 and Magellan (which purchased Bristol Aerospace in 1997) might indeed be hoping for a continuation of this ongoing revenue stream, the sounding rocket is likely to be fairly quick superseded by the new generation of commercial and reusable suborbital vehicles presently under development. Virgin Galactic,which is presently booking suborbital flights on the Scaled Composites designed SpaceShipTwo, which is expected to begin commercial flights in 2012. According to the October 12th, 2009 Universe Today article "Suborbital Could Be ‘Next Big Thing’ for Space Science:"
For companies like Armadillo Aerospace, Blue Origin, Masten Space Systems, Virgin Galactic, and XCOR, adding science to their payloads represents the possibility of an additional $100 million a year in fares — roughly equivalent to the fares that would be paid out by 500 passengers. According to the Universe Today article, experiments could include measurements on almost anything, external or internal above the atmosphere that doesn't need the Hubble Space Telescope to take a reading. The Space Business Blog put together a business case study of suborbital research payloads in February 2010 under the title "Suborbital Cargo Agent." The case study focused on building a small company to negotiate low costs per flights and preferred provider status from the available suborbital launch operators for cubesats (tiny miniaturized satellites) of standardized shape and weight which would be serviced and installed through a system integrator (in this case, Kentucky Space, a non-profit consortium of private and public organizations focused on low cost, innovative space missions). 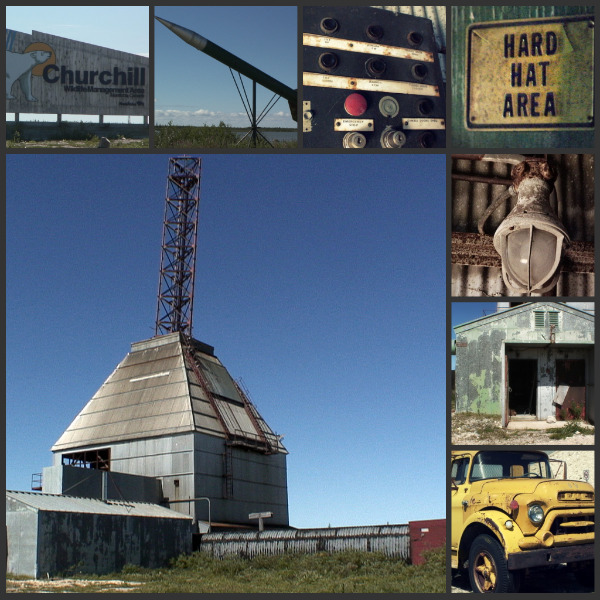 Essentially, the company made quick profits under a variety of scenario's and saved clients substantial money over what they would have needed to pay to engage traditional suborbital rocket facilities. There was also a faster turnaround time compared to what was traditionally possible with standard sounding rockets. This is something that the business people at Magellan Aerospace might want to take a look at the next time they update their business plan. Labels: Canadian Space Strategy, Commercial Space Activities, Funding "rocket science"
With all the violent rhetoric, political confusion and public pigeonholing going on in both Canada and the United States over the last little while, it's important to remember that the core of a vibrant democratic society is informed and spirited public discussion. One of those contributing to the discussion and development of an informed Canadian space policy is Randy Shelly, who recently responded to the January 3rd, 2011 David Pugliese article "Space Agency, DND seek to launch rockets for Canada" with one of his own. Titled "Canada's Satellite Plan," the January 6th, 2011 response to the Pugliese article makes the perfectly reasonable point that "...(while) I share the desire for an independent Canadian space industry, including our own launcher ... we have to keep in mind that our jobs are to serve the Canadian taxpayer, rather than ourselves." According to Shelly, the current vision of the Department of National Defence (DND) and the Canadian Space Agency (CSA) is to develop launchers capable of "launching small satellites, which range up to 1,000 kilograms, but are more typically in the 250 kilogram to 500 kilogram range." I believe that the CSA and DND rightfully consider it important to have better control over small satellites (100 - 1000 kg) as opposed to micro-satellites (which are typically in the 10 - 100 kg range) because these are likely to have more national importance in the near term. RADARSAT Constellation is a good example of this. But I also personally believe that a launcher to handle these larger payloads is just barely out of Canada's league because of Canada's small tax base (when compared to those with this capability) and because most countries who do possess this ability typically draw on their ballistic missile launch capabilities, which is an expertise Canada cannot claim. But Shelly, who managed the Canadian Forces Surveillance of Space (Sapphire) program from 2004 until 2009 and presently acts as a consultant and subject matter expert for the project (through his personal firm Raedwulf Space and Defence) feels there are Canadian companies able to develop the smaller launchers now. Pardon my expression, but this is no longer rocket science. 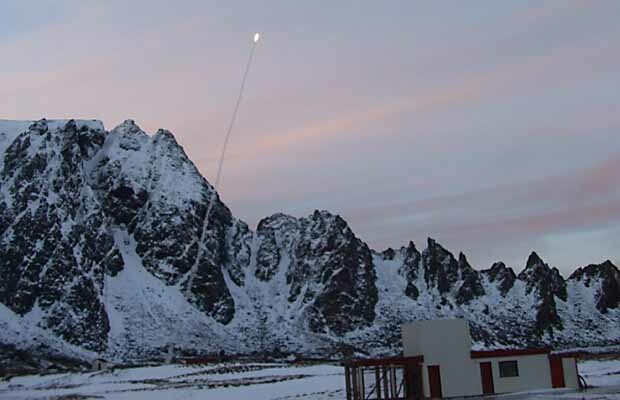 Defence Research and Development Canada (DRDC), the research and development arm of the DND has had discussions with a couple (of the Canadian firms), and there is no doubt that they could do the job (of launching small payloads into orbit). But we do have to keep in mind that expecting even the smaller launcher to be commercially viable right out the gate is just naive. We would still need government development money and ongoing government financial support to make this work. The important point is that we can do this and it could be well worth the investment. In essence, Shelly makes useful points on a topic of which he possesses substantial expertise. While he is one of the first to respond on this issue, he should not be the only one to add important information to the public discussion of policy options. The recent announcement by Colonel André Dupuis, the Director of the Department of National Defence (DND) Directorate of Space Development (DSpaceD) that DND is set to release an "updated" but not substantially changed Canadian military space policy early in 2011 suggests a series of obvious questions. Past, present and future prime ministers in 1968. Pierre Trudeau, John Turner, Lester Pearson and Jean Chretian overlooked by the press and the image of Sir Wilfred Laurier. In part one of this blog post, titled "The Axworthy Doctrine," I attempted to answer some of those questions by showing how the dissolution of the Soviet Union in the early 1990's led to a Canadian reassessment of the four traditional pillars of our national defense strategy and a new focus on international peacekeeping. This new policy required space focused communication and surveillance capabilities and led directly to our first military space policy in 1998. 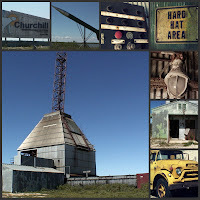 Part two of this post (titled "The Changing Political Landscape") discussed why Canada never had a military space policy prior to 1998 by going back to the 1960's and the federal liberal party under Lester Pearson and Pierre Trudeau. 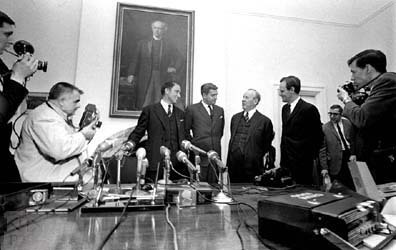 Pearson, Trudeau and their successors essentially refused to differentiate between space based military assets for communication/ surveillance and space ‘weaponization’ (placing weapons in space) in order to be perceived of as strong, international supporters of the United Nations Comprehensive Nuclear Test Ban Treaty (1963) and the UN Outer Space Treaty (1967). Not that there was anything wrong with this "civilian" focus but without military communications and surveillance programs the Canadian Forces was placed in the position of needing to consistently borrow US satellite and logistical assets. After awhile, all the borrowing exposed Canadian officials to US concerns that Canada was no longer paying it's "fair share" on defenses. Unfortunately, the American's were right and this state of affairs has lasted ever since. Space is so structurally buried and fragmented within government that voices advocating for more appropriate treatment of space security issues are marginalized, even within such departments as Industry Canada (the Canadian Space Agency's parent department) and the Department of National Defence (DND). 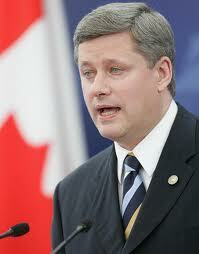 Current Canadian PM Stephen Harper. Fortunately for the military space advocates, by 2008 the liberals were no longer in power and the recently elected conservative Stephen Harper government was busy developing what they called the Canada First - Defense Strategy. Officially focused around increased funding (from $18 billion in 2007-2008 to over $30 billion in 2027-2028) and new equipment purchases for what is supposed to be variety of domestic and international missions, the new policy is in reality focused on protecting Canadian claims of arctic sovereignty. ... the country is in dispute with its neighbour, the US, over the ownership of the northwest passage. If sea-ice continues to shrink, this passage could knock a third off the trip from Europe to Asia. Currently, the shortest route involves crossing through the Panama Canal. Harper's determination to show that Canada will not be booted out of the Arctic is such that he has decided to put $2.9 billion (US) towards building up his nation's military presence in the area. This will help buy eight new ice-breaker military patrol ships and build a new port in the north of Canada. According to the article, our long-term allies seem to have become our major competitors, at least in the high arctic. If the Harper government really wants new military purchases, expanded operations and increased infrastructure they will also require expanded communications and area surveillance capabilities of the type most effectively provided by space based assets. But this time, the Canadian government might actually have to purchase these assets and not just borrow them from patient allies. The technologies we need to utilize and how we might get them will be the subject of our 4th post on this topic.